Compare Hyundai Insurance Quotes & Save! Drive a Hyundai? Planning to lease or buy one? 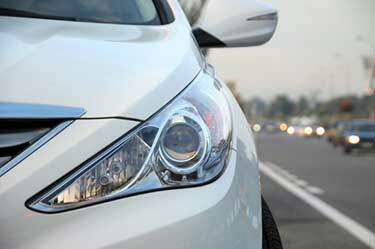 Before making a vehicle decision it’s important to compare Hyundai car insurance quotes. Exploring your auto insurance options ensures you find the lowest rates and the best coverage for your Hyundai. Hyundai made huge waves in the Canadian auto market in the early 2010s with the redesigned Elantra and Sonata. Their vehicles are well priced and offer great value. Thousands of Canadians each year continue to choose Hyundai cars, SUVs, and crossovers. At ThinkInsure, our insurance experts can help you get the cheapest rates and best coverage to meet your unique driving needs. Compare quotes for all Hyundai makes and models quickly and easily. Simply call us toll free 1-855-550-5515 to compare quotes and save. Hyundai was established in 1947 in Seoul, South Korea, originally as a construction company. It wasn’t until 1967 that Hyundai Motor Company was launched. Hyundai is a Korean word that means modernity. In 1974, in coordination with Ford, the company launched its first vehicle model, the Cortina. In 1975, the company released is first solo vehicle, the Pony. Today Hyundai is the third largest vehicle manufacturer in the world and its home to the largest integrated automobile facility worldwide. The company is best known for their mid-size cars – the Sonata and Elantra. It’s also the parent company for Kia. The Palisade and NEXO are two new models that are set to hit the market. Hyundai entered the Canada market in 1984, two years before starting to sell vehicles in the United States. Today, its vehicles are very popular with Canadian drivers. Hyundai Canada has been the top selling vehicle manufacturer in the country on multiple occasions. Currently, Hyundai offers two of the top selling vehicles in Canada. The Elantra is regularly in the top 3 of best-selling cars, and the Santa Fe is a top selling SUV. Overall, the company hold about 10% market share of all cars sold in Canada. 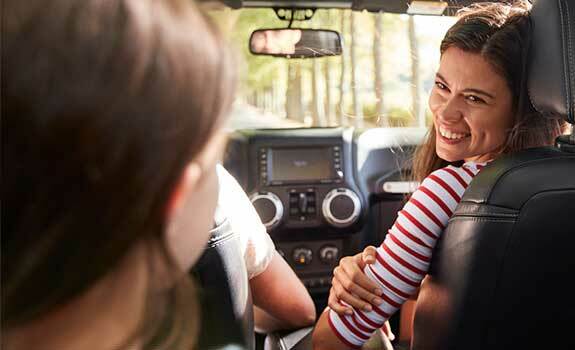 The company sold 129,280 vehicles in Canada in 2018, very similar to sales numbers in 2017. Hyundai has become one of the most popular vehicle manufacturers in Canada because they offer a strong combination of affordability, high performance, appealing design, fuel economy, reliability, and safety. The Elantra is one of the top selling cars in Canada. In 2013, it was the most popular car in Canada. That same year it also received the top safety pick by IIHS. Whether you prefer the sedan, coupe or hatchback, you can count on a great design, reliable performance and efficient fuel economy. The Accent subcompact model is another top selling vehicle by Hyundai. It was ranked in the top 10 for passenger vehicles in 2013. It’s an ideal smaller car that is suited for city driving, offers great fuel economy, great reliability and has a spacious interior. The Hyundai Santa Fe is a midsize SUV that offers flexibility and comfort. Choose between a two or three row seat model that offers many feature options to allow you customize the vehicle for your driving needs. It includes the world’s first Safe Exit Assist technology and is a 2019 IIHS Top Safety Pick+. The Hyundai Tucson is a compact crossover SUV. As many suspect, it is named after Tucson, Arizona. The Tucson is an ideal vehicle for young families and sales numbers reflect this fact. The Tucson was ranked 5th in total sales for SUVs in Canada in 2018. A total of 28,634 were sold. The Tucson is also a 2019 IIHS Top Safety Pick. Hyundai’s dedication to safety and reliability is viewed favorably by insurance companies. Hyundai as a brand is regarded as affordable for car insurance. At ThinkInsure, we can help you get the cheapest Hyundai insurance in Canada for all makes and models. The Elantra is regarded as one of the 10 cheapest cars to insure. The Santa Fe is known for being one of the cheapest SUVs to insure. The Accent is also known for its affordable insurance rates. Regardless of the type of Hyundai you drive, we can help you compare insurance quotes and asses Hyundai insurance company options. Our insurance professionals will make sure you get the coverage you need at the best rates. As a broker, we work for you. We’ll help you compare quotes before you buy or lease a Hyundai to ensure you find the insurance rates you’re looking for. If you already own a Hyundai, we’ll help you compare rates and coverage when your policy comes up for renewal. How Much Does Hyundai Car Insurance Cost? Hyundai is known for affordable insurance rates for most of their makes and model, some of which appear on the lists of lowest insurance costs. Insurance rates are in the range of the average car insurance rates for Ontario – about $1250 annually. Hyundai car insurance costs vary based on many factors such as your location, vehicle model, features, your driving record and others. Compare quotes today to get an accurate comparison of insurance costs for YOUR unique situation. Safety : Hyundai vehicles are known for top safety ratings. Many of the models are recipients of the top safety pick by Insurance Institute for Highway Safety. Tucson, Elantra, Sonata, and Santa Fe have all received this honor. Good safety ratings reduce insurance costs. 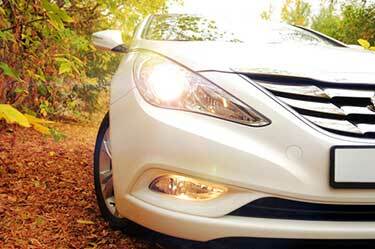 Make and model : Even though you drive a Hyundai, the type of Hyundai you drive will impact your auto insurance rates. Theft : One of the great benefits of Hyundai models is they are not frequently stolen. They rarely appear on the most stolen list. Low repair costs : Hyundai vehicles are known for having affordable repair costs after a car accident. Only the Veloster and Genesis have higher than average repair costs. Shop around : Compare rates to see what insurers can offer in terms of price, coverage, and value. Compare quotes when renewing your policy: Insurance policy renewal time is your opportunity to see if cheaper rates are available. Stay claims free: Staying claims free will not only help you keep insurance costs down, you could also qualify for an insurance discount. All drivers want to save money on auto insurance. Even though Hyundai insurance reviews are favorable in terms of insurance affordability for most makes and models, it’s still important to take the right steps to save even more. At ThinkInsure, we’ll help you find the best Hyundai car insurance. We’ll work with you to find cheap rates for the coverage you need. How Much Does Hyundai Sonata Insurance Cost? Sonata insurance costs are comparable to other similar sedans. The type of model, vehicle features, age, how much you drive and other factors will impact the cost of Sonata car insurance costs. Is Hyundai Accent Insurance Cheap? The Accent is regarded as one of the cheapest vehicles to insure. It has appeared on the list of most affordable vehicles on multiple occasions. How Can I Lower My Hyundai Insurance Payment? Comparing quotes, using a broker, and ensuring you are taking advantage of available insurance discounts are just a few of the many ways to lower Hyundai insurance costs. Are Hyundai Veloster insurance Rates Expensive? The Veloster is more expensive to insure than most Hyundai models due to it’s higher than average accident repair costs. Are Insurance Rates For Hyundai Tucson Cheaper than Other SUVs? Yes. The Tucson has competitive insurance rates in the SUV category. The vehicle is regarded as one of the most affordable SUVs to insure. Own or lease a Hyundai? 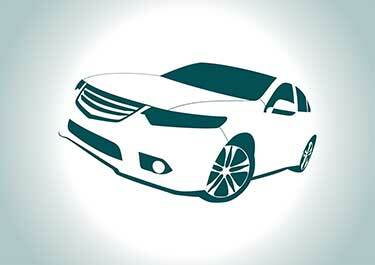 Ready to compare Hyundai auto insurance rates? Contact ThinkInsure today to get a free insurance quote for all Hyundai makes and models. Call 1-855-550-5515 today!